Aside from 8 million moving related things and lots of trips to the vet to keep 2 geriatric cats alive, some measurable amount of progress has been made on the SSDT Season Mode that everyone* is talking about! Meet Coach Clip. MEET HIM I SAID. 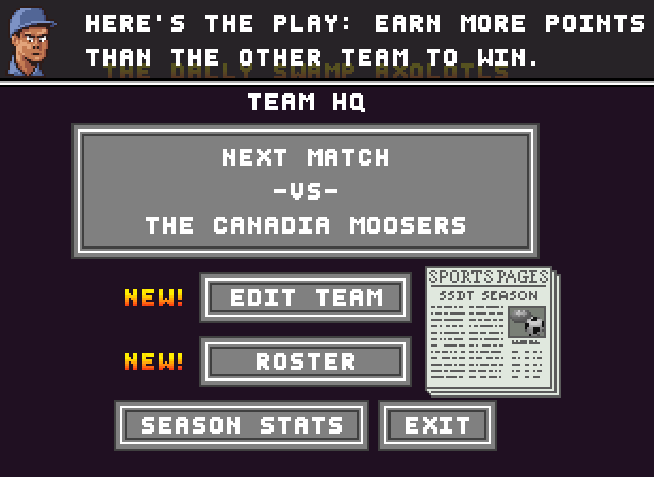 Once I had gotten the Team HQ screen to be not-breaky, I started on the Season Events List, or SEL as I do not call it. The first type of event was a simple text prompt from Coach Clip. Text prompts display on the Team HQ screen, and automatically resolve once the text has finished typing and the prompt disappears. The code automatically checks for a the latest unresolved event, so chaining multiple prompts together was fairly painless, minus a bug where the text prompt auto-disables when the screen transition is active. Speaking of bugs, there is still this fun one that happens if you leave the screen while Coach Clip is talking. It has something to do with the tutorial camera being active, but I haven’t looked into it yet. I was going to take a screen shot but it stopped happening. Hooray for intermittent bugs! Nothing like a good 4 on 2 match where you control a player on both teams with one stick! It turns out this was because Season Mode was misconfigured as a “everyone on home team” mode, similar to Practice and Free-For-All. But it was confusing and entertaining for a few minutes anyway. 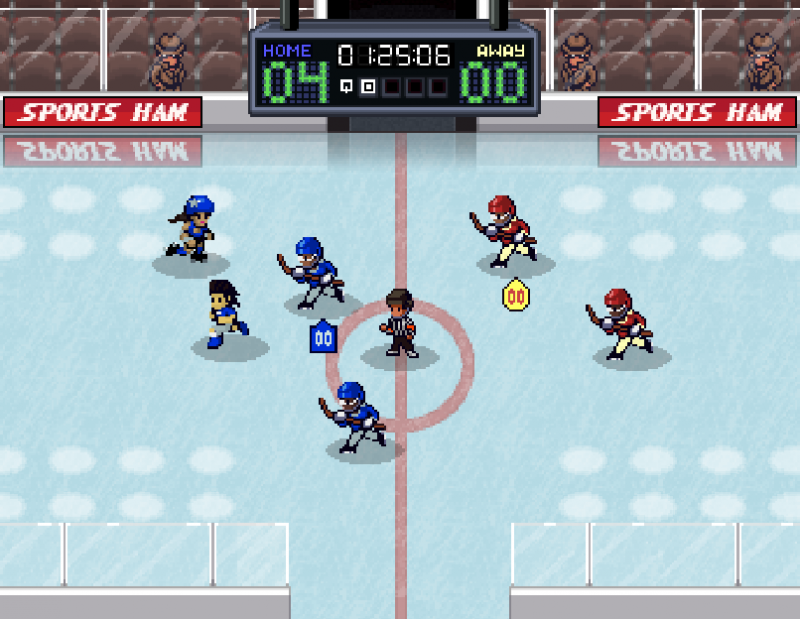 Now with that fixed, you can play Season Mode all the way up to the first exhibition match. That’s a milestone, and a good way to end my week.